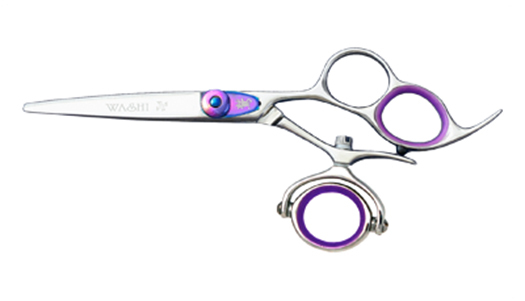 The ultimate shear design for the health conscious stylist wishing to eliminate all cutting stress. Washi's revolutionary "720" Double Swivel! Reduces thumb movement and double finger holes for perfect alignment. This is the ultimate shear design for the health conscious stylist who wishes to eliminate all cutting stress. Convex edges for smooth cutting action.